The Duke and Dutchess of Cornwall paid a visit to historic Seppeltsfield yesterday as part of a single day visit to the Barossa and Adelaide, stopping at the 164 year old winery for a taste of South Australian regional wine, food and art culture. Their Royal Highnesses were welcomed to the Barossa as the first official destination of their Australian visit. Following a tour of Seppeltsfield’s cooperage and a meet and greet with artisans of JamFactory art and design studios, Prince Charles and Camilla were provided an immersion of the 1878 Centennial Cellar. The Centennial Cellar, the vision of Oscar Benno Pedro Seppelt, holds a barrel of Tawny of every vintage from 1878 to current year - one of twelve heritage-listed icons on the Seppeltsfield property. 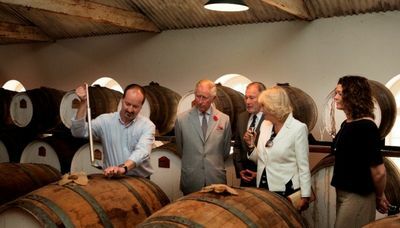 After a viewing of two new commemorative birth year barrels for Prince George and Princess Charlotte of Cambridge prepared by Seppeltsfield, Charles and Camilla were provided a taste of their own birth year Tawny (Australian Port) vintages, direct from barrel. The pair finished with a sampling of one of Australia’s most historically significant wines - the 1915 100 year old Para Vintage Tawny. The Royal visit coincided with the launch of an expanded suite of tourism experiences for the Centennial Cellar itself. 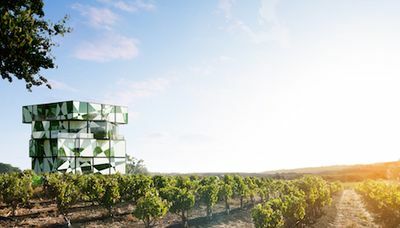 The Barossa Trustmark-endorsed ‘Centenary Tour’, where guests taste minute samples of both their birth year wine and the 100 year old Para Tawny, has been complemented by a new ‘Years of World War I’ and ‘Moments In History’ immersion. The new experiences provide the opportunity for visitors to taste wines made in the years such as the Moon landing (1969), the beginning of World War I (1914) and the sinking of the Titanic (1912). Mr Warren Randall, proprietor of Seppeltsfield, led the Royal visit whilst at the estate. 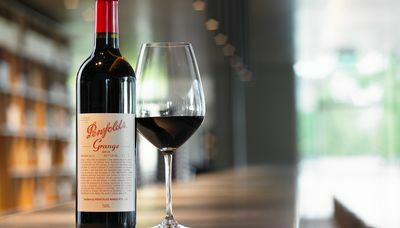 “We are extremely proud to have hosted the Royals here at Seppeltsfield to showcase South Australian wine, food and art and to soak in the history of the 1878 Centennial Cellar”. “You don’t need to be Royalty though to experience Benno Seppelt’s amazing vision - anyone can visit and do exactly what Prince Charles and Camilla did”, he added. Prince Charles and Camilla finished their time at Seppeltsfield with a premium South Australian food showcase, held in the FINO Seppeltsfield restaurant.